Wincham, based in Congleton, Cheshire have been established since 1994. 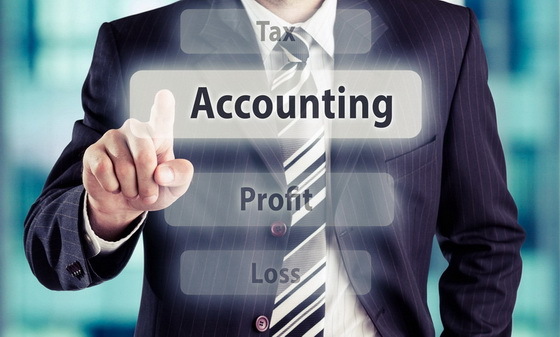 As part of the Wincham International Group, Wincham Accountants Ltd, offer a wide variety of accounting and taxation services form book keeping to tax planning. All UK Limited Companies are required to produce yearly Accounts for submission to Companies House and HMRC, even if the Company has not traded during the year. In all cases, clients are required to review and approve their Accounts prior to submission. All businesses, both incorporated and sole traders/partnerships, have to maintain accurate records of all income and expenditure. The most effective way to manage this information is by using our innovative “client cashbook”, which clients can maintain by logging into the Wincham website. Where clients choose not to use this method of input, we would be pleased to carry out this task at a competitive fee. Company Directors and all other UK tax residents, apart from employees, are required to submit tax returns for each fiscal year by 31st January, if done online. Some employees, who receive benefits-in-kind from their company, may wish to check that they are paying the correct amount of tax. VAT Returns – monthly, quarterly or annual returns. We advise trading clients of the need to register for VAT, if their turnover approaches the limit of £83,000, and all clients can be advised of the need to consider cash-flow implications in their purchases and sales. Payroll, RTI & Workplace Pensions – we operate payrolls for clients, ensuring that employees are paid the correct amounts and HMRC receives the appropriate PAYE and NIC. All payrolls must comply with HMRC’s Real Time Information (RTI) regime. All employers are now obliged to set up workplace pensions for their employees. CIS Returns – for contractors and sub-contractors. Monthly reporting to HMRC. Cash flow Forecasts & Business Plans – for lending purposes and business planning. Tax Planning – Income Tax, Corporation Tax, Capital Gains Tax, Inheritance Tax, VAT. We advise on the timing of transactions and the claiming of reliefs and mitigation. Company Reorganisations – share transfers, different classes of shares, company structures, Company Secretarial services, Registered Offices. Taxpayers are required to submit tax returns to HMRC (Corporation, Personal, VAT, payroll, etc.) or Annual Returns and Accounts to Companies House. The returns may give rise to an investigation by these organisations; any questions which are raised will result in additional work by us, which is not covered in the normal Accounting fees. Ordinarily, we would charge clients for this extra work, but being mindful of potentially escalating costs, we offer a policy which covers the professional costs of responding to the investigation. Please ask for details. Your UK Company is subject to UK Company and tax laws but, as the company has assets in Spain, you will be required to submit a Company Tax declaration to the Hacienda in Spain. Although this may be a NIL return, we can submit the required declaration on your behalf, if we are enlisted as your Fiscal Representative in Spain, with online access to the Tax Office in Spain. Spanish residents are required to complete personal declarations in Spain (Modelos). Non-residents receiving an income in Spain are liable to complete personal tax declarations.